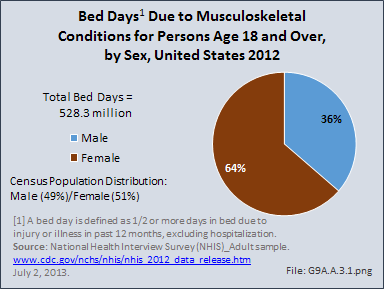 Women report more bed days due to musculoskeletal injuries than men do, both in number of women with bed days and the mean number of bed days reported. 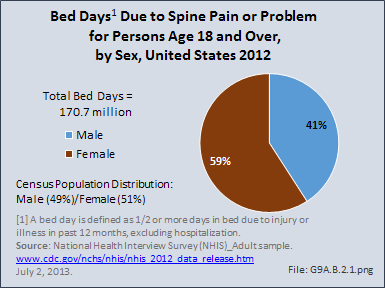 In 2012, women self-reported a mean of 10.5 bed days versus a mean of 8.0 days for men. 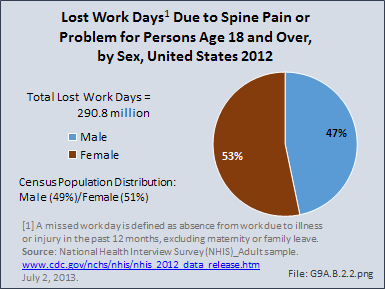 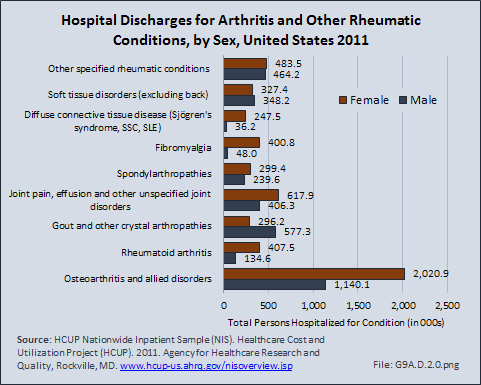 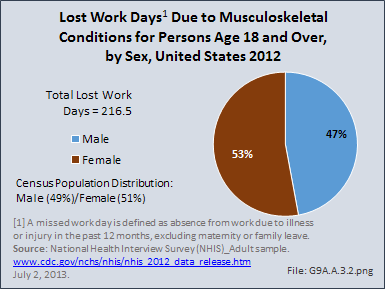 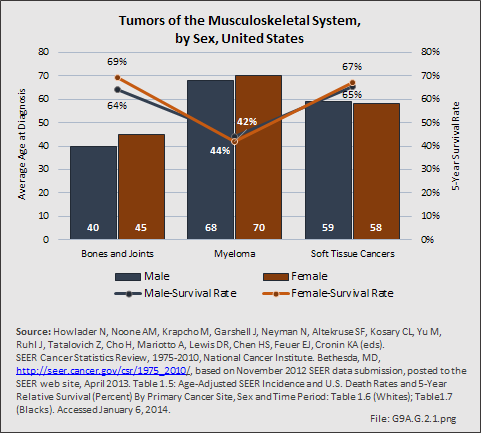 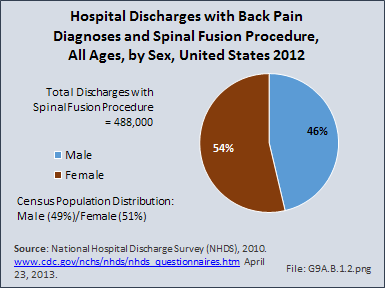 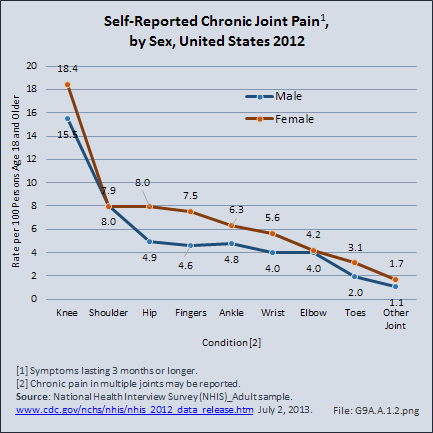 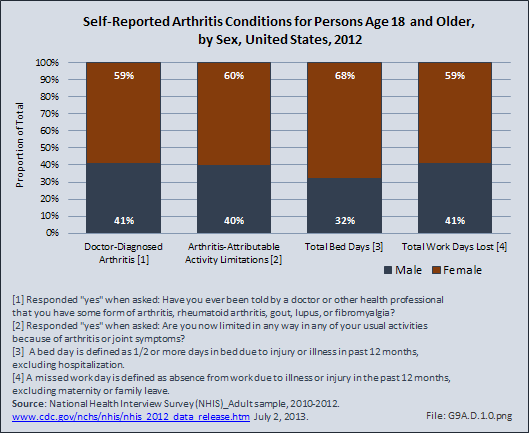 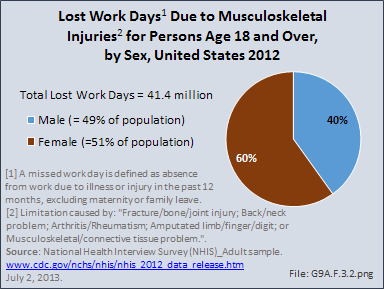 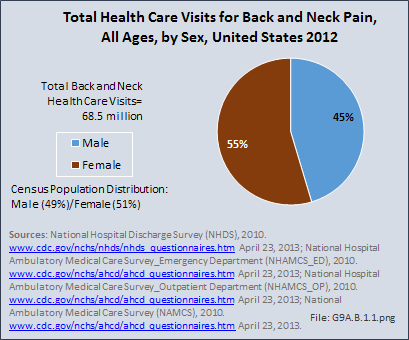 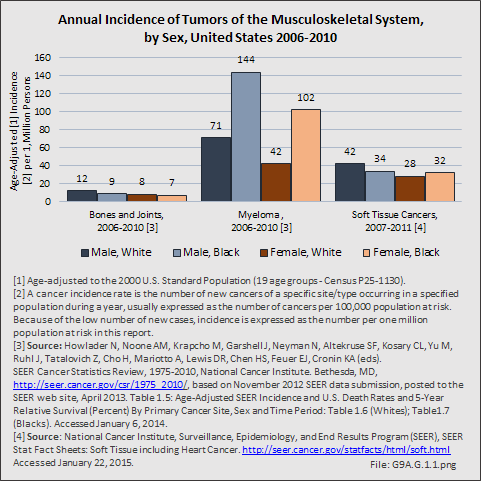 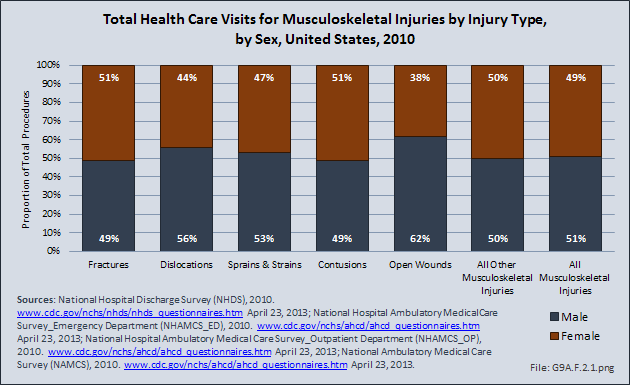 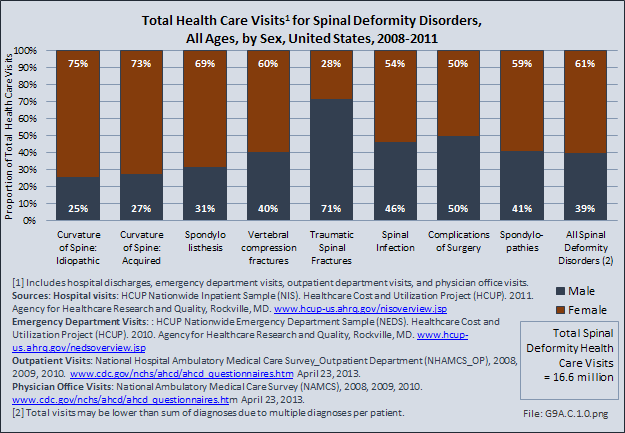 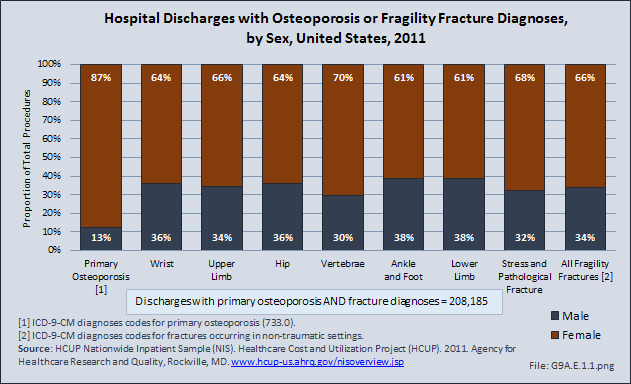 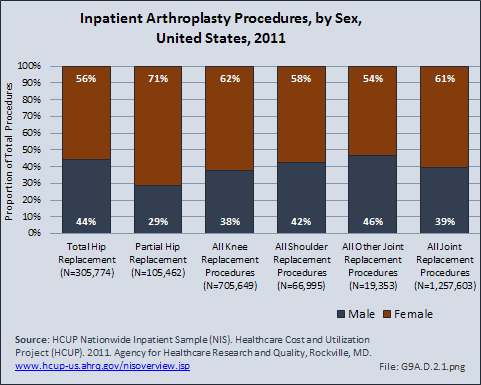 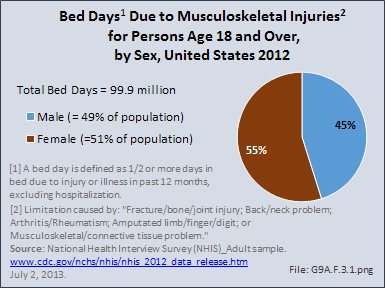 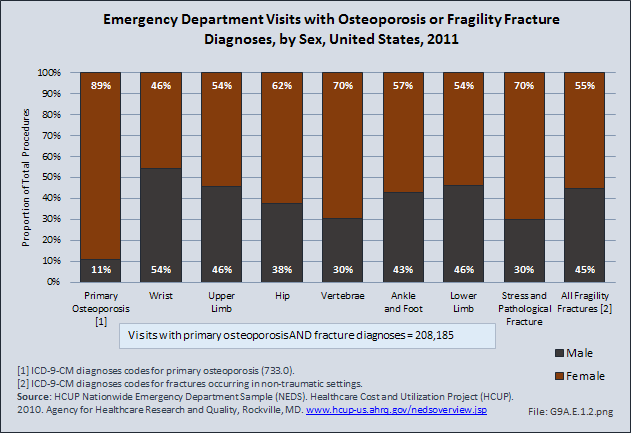 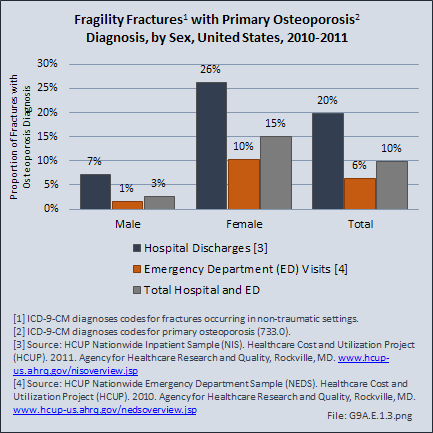 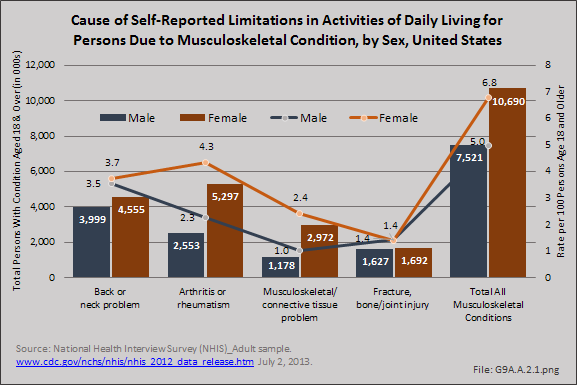 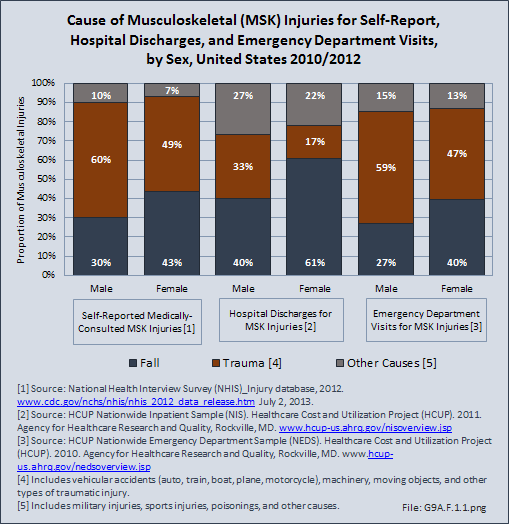 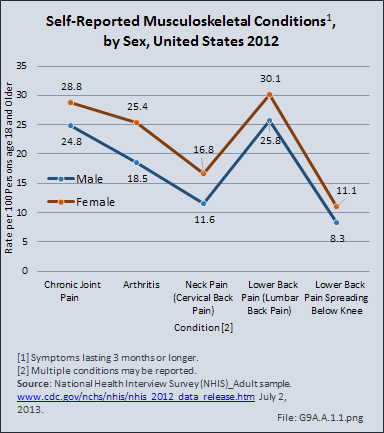 Overall, women accounted for 55% of the 99.9 million bed days reported for musculoskeletal injuries in 2012.